I grew up taking some things for granted. And, when you are 39 it is quite easy to forget there are some things even the brightest 9 year-olds don’t know. It has been a long week. One of doctors, and appointments. Lots of homework. Running errands to try to catch up on our lives. Felix’s grandmother, who Meghan and I barely knew, passed away this week. Emotions. Pain. The hearts hurt. The hand hasn’t healed quite yet. Physical Therapy. Lots of processing for my deep thinker. I know Meghan knew this was “Holy Week,” if f0r no other reason, than I had told her. She participated in the Palm Sunday Service last Sunday and understood everything in great detail. Wednesday our church set up “stations,” where you could travel to experience Jesus‘ last days. There was fragrance, 30 pieces of silver, bread, wine, a cross to nail your sins, a stone to imagine the weight of the one in front of Jesus’ tomb. There were 13 stations in all. Each one a meaningful experience – traveled through alone or in a pair. At each station there was a Bible passage, and a scenario. There was a way to put yourself in the situation. Meghan and I traveled most of the stations together, talking and sharing as we went. Long productive conversation that night. We did not make service last night, but tonight, we headed into the “Good Friday” service. 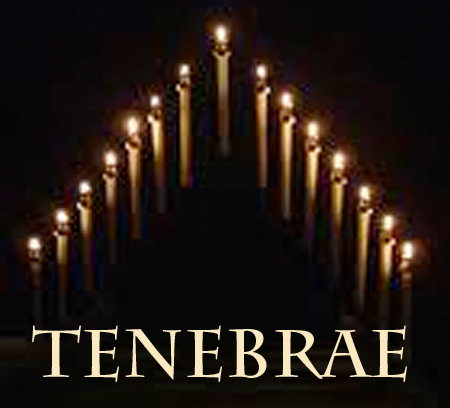 I had never experienced a Tenebrae service, or a service of shadows. There was a huge cross of candles in the front, extinguished one at a time as various readings were completed. And, knowing her so well I watched Meghan through the service become increasingly uncomfortable. When we left and asked her about it, she told us she never knew the story of Jesus’ death. She had heard it told, but never read from the Bible. She had no idea the extent of His suffering. She was amazed that He could still love us after all the awful things that went on. Long, long discussions. Just starting to wrap up. My first reaction was guilt. Had I failed as a Christian mom? Then I realized, as always, things were happening as they were supposed to. I was learning lesson upon lesson just hearing her speak. We are so weighed down by the earthly problems, that we sometimes forget. We sometimes lose focus. Cowden’s Syndrome, cancer, PTEN, AVMs, viruses, surgeries, whatever the suffering,… we are children of a loving, forgiving God. 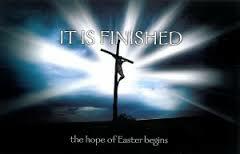 Jesus died to save us from our sins. To lighten the load. To eliminate the judgment and condemnation that sometimes weighs on our hearts – so we can concentrate on the important stuff. How blessed are we? Sometimes I need my 9 year old to remind me.